Deprecated since main plugin version 2.2.803 (it has full categories support). This addon allow you create dropdown in toolbar, that can be user for filter by photo name, category, etc. In dropdown shows all unique values from selected field. When user select value in filter list, page reloads, and user see photos just from selected category. Addon works just with enabled toolbar. If in upload form user can write his custom category, then recommended use “Before” photos moderation to exclude your site hacking. 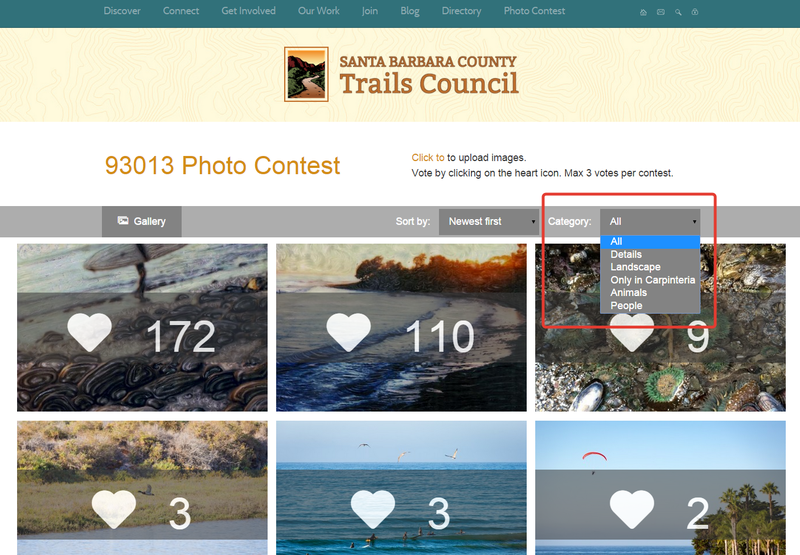 After go to Photo contest => Addons for set up settings.